SubDownloader - Fast and Easy Subtitle Downloader for Linux. SubDownloader the Application to Download Movie Subtitle on Linux and Windows. Have many video and don't have the subtitle? Download your film subtitle using this Linux software, here will be explained how to install Sub Downloader and review about it. SubDownloader is a tool to automatically download/upload subtitles for video files (divx, mpeg, avi, mkv, mp4, etc.) and dvds using fast hashing. Finding subtitles for your movies/series has never been so easy. Forget searching by title, just ONE CLICK over the folder or file and it will find subtitles automatically for you. That simple. Upload entire series seasons subtitles in less than 1 minute This package contains the GUI front-end, common files and a cli interface. SubDownloader can be installed from Software Center, open your Software Manager by clicking Start Menu >> Administration >> Software Manager. Seach for SubDownloader, after finding it double click then install. SubDownloader is the best subtitle downloader for Linux which can search many subtitle from Open Subtitle website. First you need to login to access thousands movie subtitle. Then you can download or upload the subtitle easily. 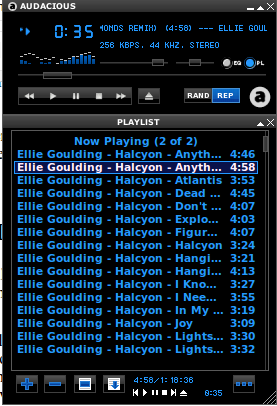 Ways to Install Audacious MP3 Player With Winamp Skin on Linux Mint. 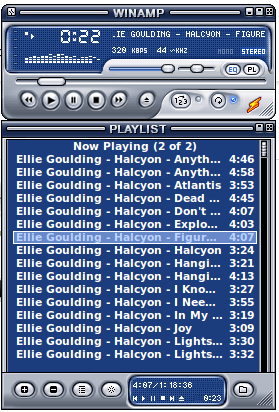 Audacious is the best equivalent program to Winamp to play music files. This article will guide you how to install Audacious on Linux also install Winamp skin on Audacious. What is Audacious Media Player ? 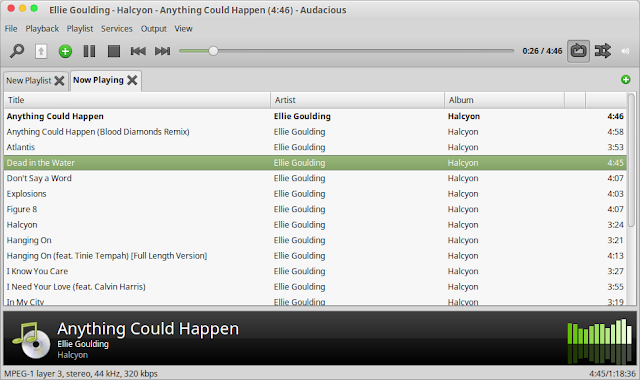 Audacious is an advanced media player which can play many supported audio files. A descendant of XMMS, Audacious plays your music how you desire it, without stealing away your computer system \'s resources from other jobs. Audacious support drag and drop folders and individual song files, look for artists and cds in your whole music library, or develop and customize your personal custom-made playlists. Pay attention to CD's or stream music from the Internet. Customize the sound with the visual equalizer or experiment with LADSPA impacts. 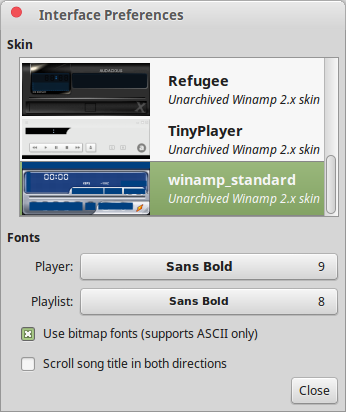 Enjoy the contemporary GTK-themed user interface or modify things up with Winamp Classic skins. Make use of the plugins consisted of with Adventurous to bring lyrics for your music, to set an alarm in the early morning, and more. Also you can run Audacious from the Sound icon on the Linux Panel. 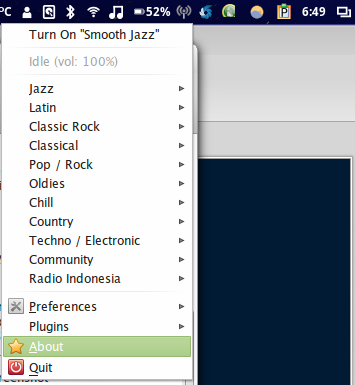 Audacious have two interface: GTK and Winamp classic. To revert back the Audacious theme into GTK Interface: click on the "a" for Audacious symbol (see top corner Audacious window) then you will see View menu, select Interface, continue with choosing GTK Interface. Copy or download any Winamp skin, for this tutorial you can download Winamp skin here. Open your file manager (Nemo) as root! Do that by opening your Terminal and type sudo nemo, then enter your password. You will see file manager with red line "Elevated Privileges"
Now you have your Winamp on Linux natively after practicing this tutorial about Ways to Install Audacious MP3 Player With Winamp Skin on Linux. 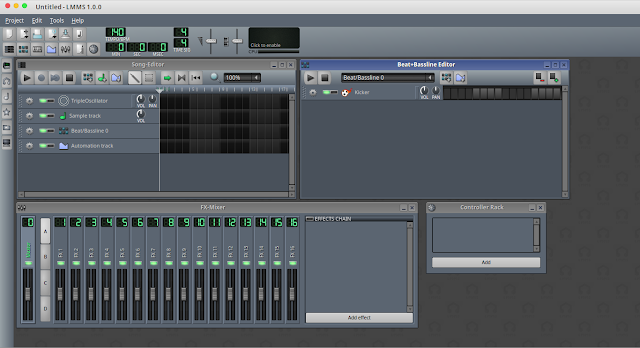 LMMS Alternative to FL Studio on Linux as Music Creator Software, the best software for music composer. If you are a music composer and using Linux you can install LMMS the open source digital audio workstation for Linux, Mac, and Windows. What is LMMS? LMMS is a sound generation system, synthesizer, beat/baseline editor and MIDI control system which can power an entire home studio. Sounds and tones can be generated, played and artfully arranged to create entire tracks easily, giving you the opportunity to create music from beginning to end. LMMS is the tools to create the sounds, arrange the sounds and rhythms to create tracks, layer the tracks to create songs, and then save the songs to an output format are all there, ready for you to use. LMMS can also connect to your MIDI keyboard, allowing you to play music live on Linux. LMMS seems the best Linux software which equivalent to Apple's Garage Band, FL Studio (formerly Fruity Loops), Logic Studio, Beat Machine Pro and similar powerful audio tools. In terms of capability, LMMS easily matches the lower to middle-tier professional tools available, making it a great introduction to audio production which is constantly developing. How to Record Radio Streaming on Linux With Audio Recorder. Linux has many appropriate software for audio recording tool, today we will show you how to use Audio Recorder program on Linux to record streaming on radio. Have a try the light and simple radio streaming program, Radio Tray. 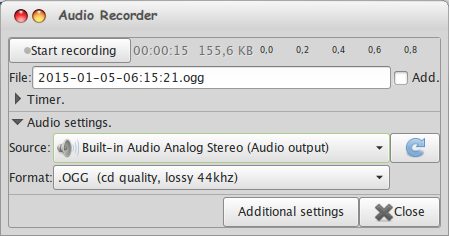 Audio Recorder is a free audio-recorder for Linux operating system. With this Linux Audio Recorder program you can record your favourite music and audio to a file. It can record audio from your system's sound card, mic/ microphones, browsers, webcams & more. Put simply; if it plays out of your loudspeakers you can record it. Stop or pause recording on "silence" (user can set the audio threshold and delay). The recording can be automatically controlled by MPRIS2-compatible media players. Skype. It can also record all your Skype calls without any user interaction. This program supports several audio (output) formats such as OGG audio, Flac, MP3 and WAV. This allows you to select a recording device; microphone, webcam, audio card output (loudspeakers), etc. You need to add PPA from your Linux Terminal and type the following command. Wait until installation completed. You can open Audio Recorder program after install by clicking Start Menu >> Sound & Video >> Audio Recorder. Here is the way to record an audio from radio streaming program. Second, open your Audio Recorder program then start recording by clicking "Start recording" button. This button will become "Stop recording" button to stop and save your recording. That is easy to use audio recorder. Audio threshold is supported by this program, which can record audio on sound/voice and stop/pause when silence (user can set up threshold and delay as per requirements). Additionally you can setup an timer manually within the audio recorder program to schedule recordings and the program will start/stop/pause recording at given time. You can use these keys to control the recorder (when its window is active). Cntr + R: Start recording. Cntr + P: Pause recording. Cntr + X: Stop recording. Cntr + S: Save timer commands/text. Cheese Alternative Program to CyberLink YouCam for Linux. Cheese is alinux application which allows Linux users to access their webcam device and take pictures or created videos with funny effects from computer. It is mostly used under the GNOME desktop environment. The application has no binary packages for a specific Linux distribution, only a source archive that allows advanced users to configure, compile and install it under any Linux-based operating system. Cheese offers a very basic user interface. It provides users with a very basic user interface, comprised of the main view area and a footer, from where users can change the operation mode of the application (photo or video), change the predefined effects, as well as to view access recent files. It will automatically activate the webcam when it is opened. Cheese offers various effects. Default Cheese effects include the Bulge, Dice, Edge, Flip, Heat, Historical, Hulk, Kaleidoscope, Kung-Fu, Mauve, Mirror, Noir/Blanc, Optical Illusion, Pinch, Quark, Radioactive, Ripple, Saturation, Sepia, Shagadelic, Square, Stretch, Twirl, Vertigo, Warp, Waveform, and X-Ray. Cheese uses your webcam to take photos and videos, applies fancy special effects and lets you share the fun with others. It was written as part of Google's 2007 Summer of Code lead by daniel g. siegel and mentored by Rapha√´l Slinckx. Under the hood, Cheese uses GStreamer to apply fancy effects to photos and videos. With Cheese it is easy to take photos of you, your friends, pets or whatever you want and share them with others. After a success of the Summer of Code, the development continued and we still are looking for people with nice ideas and patches. 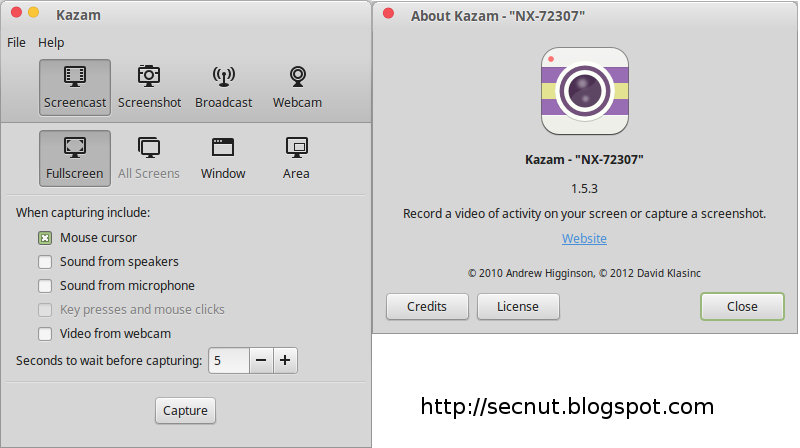 Kazam 1.5.3 Software to Record Video From WebCam Linux. Kazam is CyberLink YouCam Alternative for Linux also equivalent software to Cheese. If you have Cheese to take photo and video from webcam, now you take video too from Kazam 1.5.3 --This guide will install Kazam 1.5.3 in Linux and review about it. Kazam is a GStreamer-based for screen recording, screenshot tool, and webcam apps for Linux. 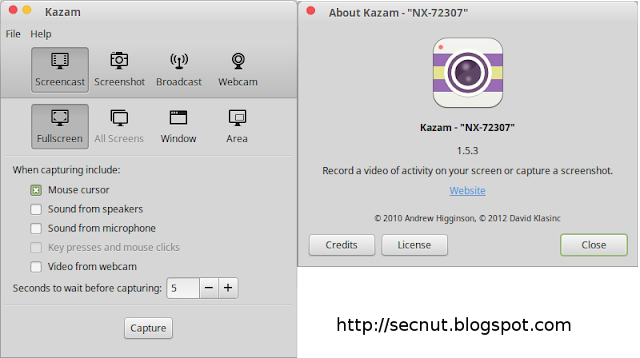 This article fill focus how to use Kazam as a webcam software for Linux. The application provides well designed and easy to use interface. Kazam can record desktop video and multiple audio streams simultaneously with control over audio levels, and screen region being captured. Support for H264 and VP8 codecs is built in. Kazam can also capture still screenshots. supports mp4 (H264), webm (VP8) and avi (RAW, HUFFYUV and lossless JPEG) video formats. Capturing screenshots and desktop recording is important for some users. Primary and secondary toolbars were chosen because this is the easiest way for users to switch between different recording modes and different recording regions. Best Camtasia Studio for Linux Alternative Open Source FREE. If you are familiar with Windows 7 there is a program called Camastia Studio, which can you use to edit videos, record video. This will show you the best Camtasia equivalent software for linux. Okay I will be a linux software consultant here. as I see now, Camtasia is a tool for creating video tutorials. If you are searching for something like this you might try Simple Screen Recorder for Linux. SimpleScreenRecorder makes video from desktop, you can also record microphone and speakers, it is also able to zoom video when you do a desktop recording (following the cursor). Thus point 3 and 4 solved! Now, for cutting video and adding text to your video...you can use OpenShot, Kdenlove or others video editor software for linux.I would recommend "Openshot" for video editing because it is very easy for beginner and easy to understand. Thus answer point 1 and 2 and all problem solved! There are two points of software to install, first SimpleScreenRecorder and second Openshot. 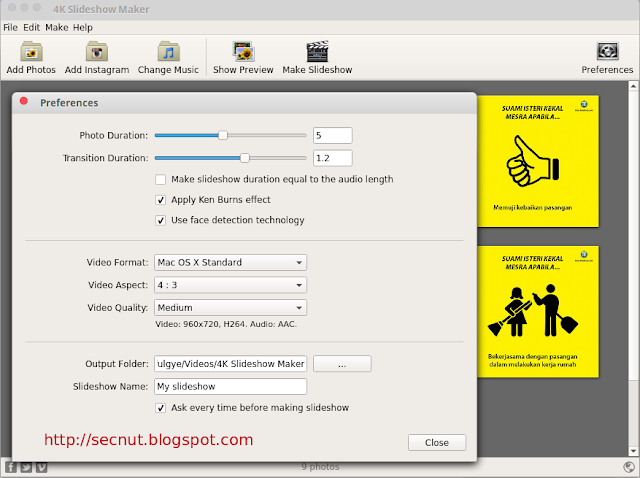 4K Slidshow Maker is a Linux software to create slideshows video from photos. Just add your favorite photos from Instagram or from your computer, select the music, apply gorgeous effects and transitions. Advanced face-recognition technology helps not to miss your important persons. Save your slideshow in the best quality for your iPhone or share it on Facebook. The result is simply amazing! 4K Slideshow Maker can generate photos you added to video with many transitions randomly. 4K Slideshow Maker provide up to 10 seconds video length for every picture. You able to add music background for your video. And this app runs on Windows, Mac and Linux. The minus point of this software is: this software can not save your work for later editing. 4K Slideshow maker can be installed by downloading the installer from its official website click here, after download completed you have to double click the installer file and click "Install package" button. Wait until installation finished. 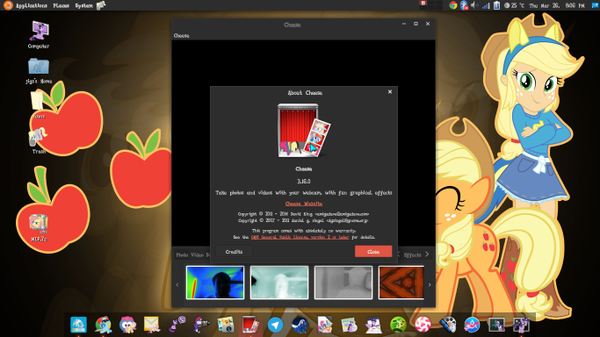 You can open 4K Slideshow Maker for Linux by clicking Start/Menu >> Sound & Video >> 4K Slideshow Maker. NotesL if you are not configured this software, start menu categorized on "Other". Add photos from a local folder or download them from Instagram. Add your own music and set up the duration of one slide to create tempo in your video. Select video output format – Windows Standard, Mac OS X Standard, iPhone 5/4/3GS, iPad/iPad Mini wtih Retina, YouTube, Facebook. Show Preview via built-in video player. Apply Ken Burns effect to have smooth flow of your photos. Enjoy to use the extremely friendly and simple interface of application. Use 4K Slideshow Maker on your PC, Mac or Linux at zero cost. You could try ffDiaporama that have same functionalities with advanced mode for creating slideshow video from picture in Linux. ffDiaporama -Best Software to Make Video From Photos in Linux - How to create slideshow video linux with time adjust. You can make video from photos linux using ffDiaporama which has GUI window for making a video from a bunch of photos or images, to create a time-lapse video, or a stop-motion animation. To make video from images in linux, the idea is to set a really small time between each photo, but also to be able to change this time every so often, or add some effects, to make the succession smoother in particular. What would be perfect is a function that allows automatic cropping of the photos as well as exposure adjustment so they all have the same background and so the time-lapse video looks smoother. Those code will install ffDiaporama, texture template for ffDiaporama also open clip art for ffDiaporama. Very comlpete to create slideshow video in Linux. #Linux #AudioRecorder. How to Record Audio From Computer/ Music Player in Linux? You can record sound from speaker directly by using this Linux audio software. You can also record radio streaming, music online...in short we can say that this can record audio from audio output, audio input or system sound card. 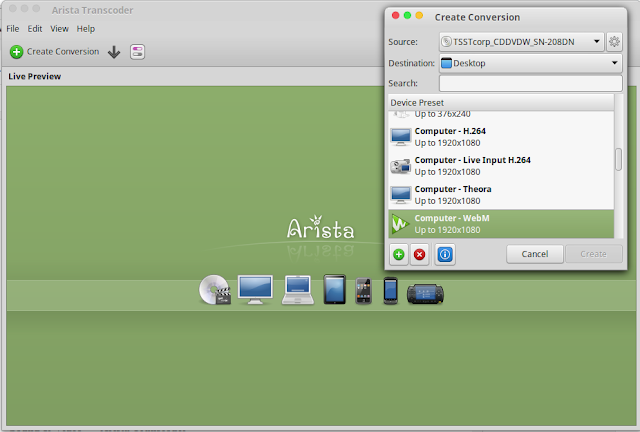 Audio Recorder is a Linux software that can record audio from input or output sound from computer. This amazing program allows you to record your favourite music and audio to a file. It can record audio from your system's soundcard, microphones, browsers, webcams & more. Put simply; if it plays out of your loudspeakers you can record it. * Start, stop or pause recording at a given clock time. * Start, stop or pause after a time period. * Stop when the recorded file size exceeds a limit. * Start recording on voice or sound (user can set the audio threshold). * Stop or pause recording on "silence" (user can set the audio threshold and delay). Just pick the "... Audio Output" device in the main window and start recording. You do not need to select any devices in the "Additional settings" dialog. In most most cases the recorder works fine with default values. #RadioTray - The best and simple online radio streaming software for Linux Mint / Ubuntu. It's minimalist Linux program because Radio Tray is an online radio streaming player that runs on a Linux system tray. Its goal is to have the minimum interface possible, making it very straightforward to use. Radio Tray is not a full featured music player, there are plenty of excellent music players already. However, there was a need for a simple application with minimal interface just to listen to online radios. And that's the sole purpose of Radio Tray. The bookmarks configuration has gained a few enhancements. There’s no more "up" and "down" buttons to move things around. You can just drag and drop radio stations and groups freely. And on double-click it opens the edit dialog. I think this makes user interaction a lot easier than before. Download Radio Tray from its official website. After downloading the file with .deb suffix, you need to install the program by double clicking the file and choose Install package. As your info: in Linux Mint >16 the Radio Tray is installed already. After installation done, open your Radio Tray by clicking Application or Start Menu >> Sound and Video >> Radio Tray. The program will run on system tray or in Linux called panel. 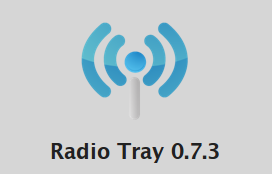 There’s a new version of Radio Tray: 0.7.3. It’s another bugfix release although with some minor new features.Finally, some of the most annoying bugs (at least for me) were fixed.